Blakeslee, Rt 115 47+/- Commercial Acres with central sewage just North of I-80 Blakeslee Exit where the Industrial Warehousing is being built. 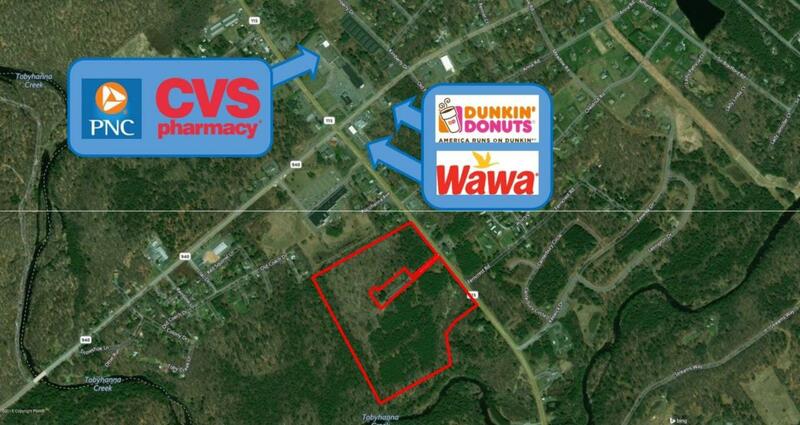 Just South of Route 940 Blakeslee intersection where a high-volume WaWa convenience store with gas station is located. Survey and wetlands delineation are available.